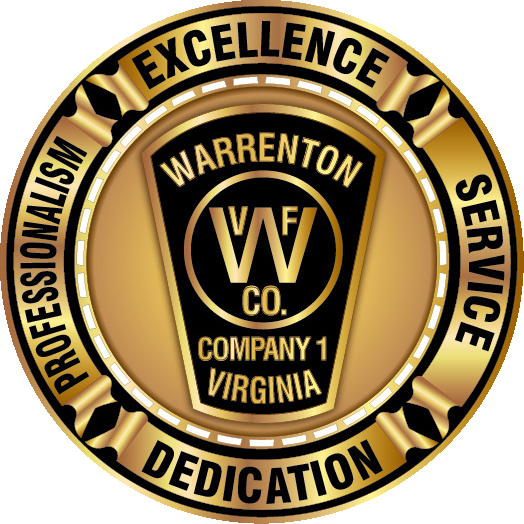 History – Warrenton Vol. Fire Co. Transcribed as written – original document on display at Fire Station One. Warrenton’s first fire protection consisted of three dozen fire buckets, a purchase authorized by Mayor James V. Brooke on May J 1852, according to Town Records. On May 17, 1852, Town Sergeant E. M. Merchant ordered ladders made for the use of the town to be deposited in the public square. On May 6, 1853, the Town Council hired a guard of eight men to patrol from 10 p.m. until daylight at one dollar per night to prevent the outbreak of fires. This method apparently prevailed until April, 1872, when a committee of three, consisting of H.C. Yates, John R Spilman and John B. Withers was named to inquire into the subject of organizing a hook and ladder company and how much assistance could be gotten from fire insurance companies, if any, to aid in the equipment of said company. 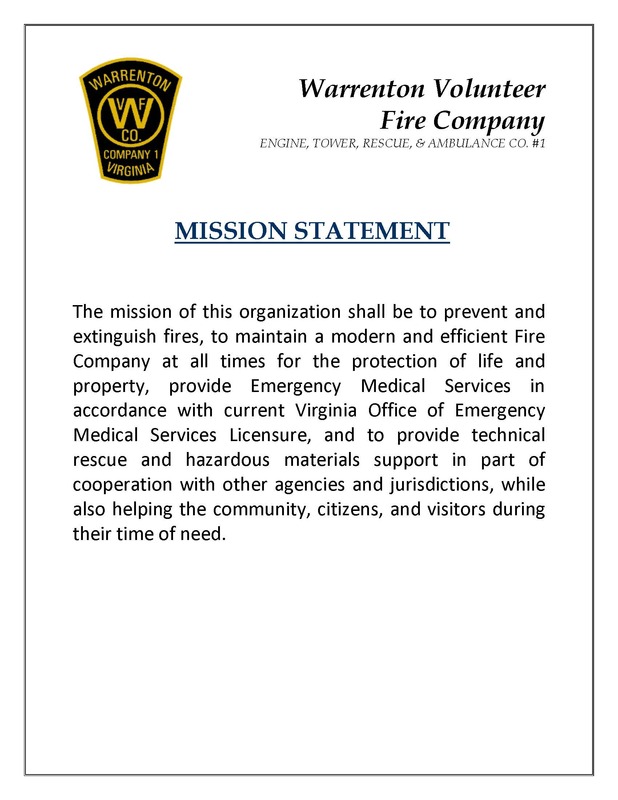 The committee reported that “since our appointment another big fire occurred” which has caused us to see all the members of the council, and they agreed that we purchase some extinguishers if the funds could be provided to meet the purchase. “Acting upon authority we have purchased seven extinguishers from T.T. Holloway of Baltimore, four large and three small ones.” At a cost of $270. We would recommend that two of them be left in the mayor’s office and that the remaining five be given to good and responsible men in different parts of the town. 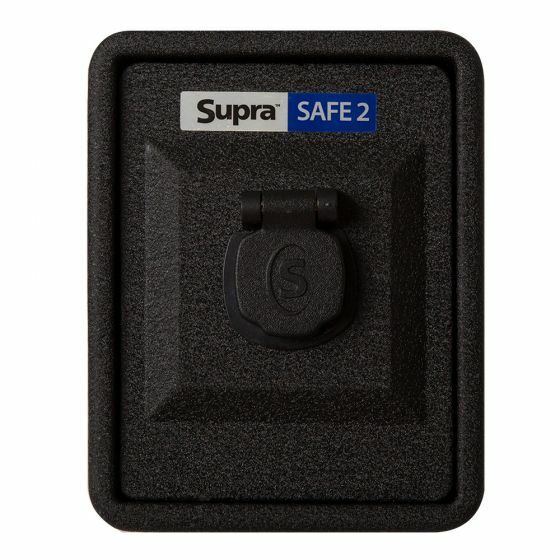 That we provide 35 charges for the chemicals and distribute with the extinguishers. 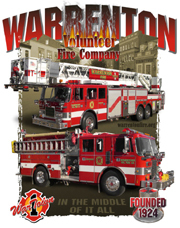 The committee also recommended that a volunteer hook and ladder company be formed “right away”, to be called the Hook and Ladder Company of Warrenton, with the privilege of electing its officers with its various heads (Water, Ladder, Rope and Axe) The whole to under the Chief of Fire Department to selected by the council. Later that year 1872, John R. Spilman was elected Fire Chief and order was given for the purchase of a four –wheel truck with proper equipment, to cost $850.00. The truck was about 20 feet long with tongue and rear tiller. There were ropes attached to its sides and a ling rope attached to the tongue for manpower locomotion. The equipment consisted of several extension ladders, short ladders, scaling ladders, crowbars, axes, picks, firehooks and about 20 leather buckets. The next pieces of firefighting equipment purchased were two Little Giant engines and 100 feet of hose, bought in January of 1899. The Little Giant fire engine was 50 gallon stave barrel mounted on two wheels and equipped with a two· handed pump. In 1891, after completion of the water system, a two wheel reel and several hundred feet of regulation hose were purchased, and D.P. Wood Sr. was appointed Fire Chief by resolution of the Town Council. 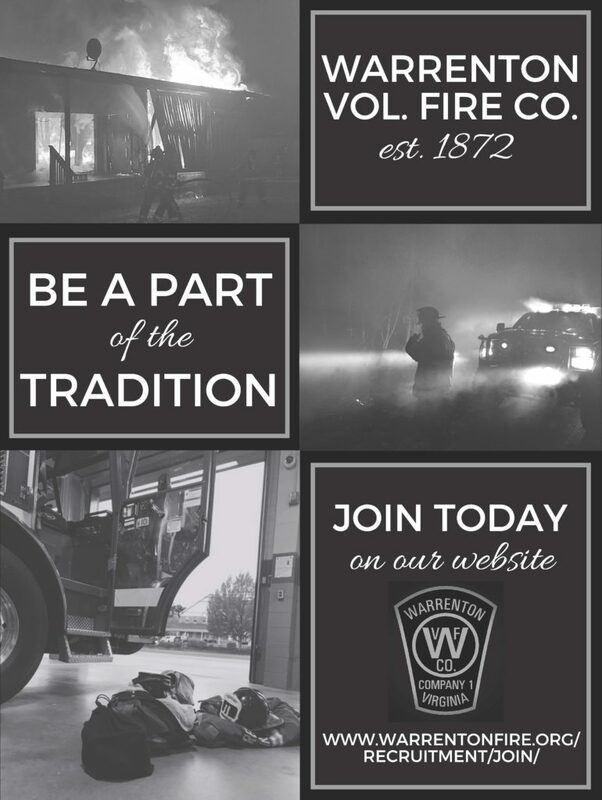 Mr. Wood and 19 others, said the Town Recorder, have formed themselves into a company for the purchase of extinguishing fires on buildings in the Town of Warrenton under the name of The Alert House Company. 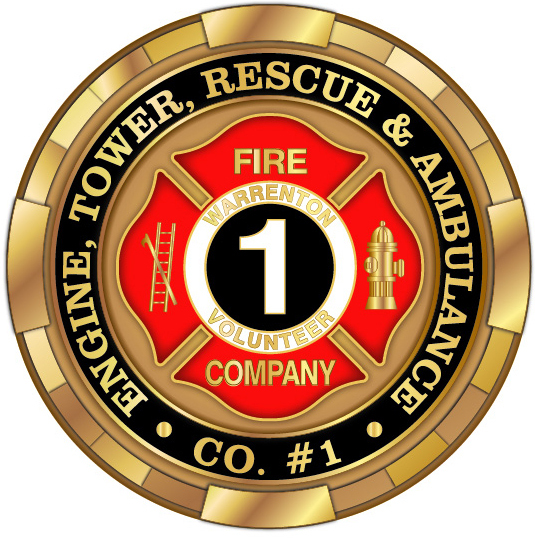 The Council appointed Mr. Wood principal engineer and T. M. Houchens, L. R. Houchens and C. W. Rosenberger fire wardens. At that time the fire apparatus was housed under the Court House Porch. On February 7, 1893, a four-wheel reel was bought from the Alexandria Fire Department and a additional 200 feet of hose was purchased. This reel was housed in a shed in the yard of Galloway’s livery stable. A second company was then formed with J. A. Utterback as Chief. The two companies was designated as the “Old Men” under Mr. Wood and the “Young Men” under Mr. Utterback. In 1909 James Walden Jefferies was Fire Chief. During his administration a 50·gallon chemical tank mounted on a two-wheel chassis was purchased, with about 500 feet of hose. In 1920 Charles M. Jefferies, brother of James was made Fire Chief. In 1921 the first piece of motor driven fire fighting apparatus was purchased, a Chevrolet truck equipped with 50 gallon chemical tand and a hose carriage. Firemen’s carnivals apparently began in 1921, because at a Town Council meeting September 6, 1921 thanks were expressed to the Chamber of Commerce for the efficient manner in which they conducted the carnival and to the various committees who so willingly gave their time, and to the public for their very generous patronage. Mr. John Grayson reported that the net receipts were $2,346.28. The Council directed that this be kept in a separate fimd until the arrival of the fire engine. 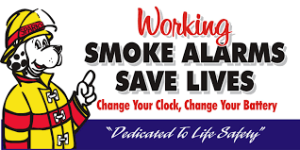 Mr. Jefferies resigned as Fire Chief in 1922 and William G. Bartenstein was named by the Town Council to succeed him. 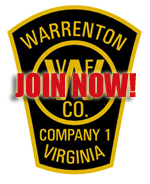 This was the beginning of the present Warrenton Volunteer Fire Department. Early in 1924 Mr. Bartenstein, B.H. Smith, Alexander S. Hamilton Jr., Lester Burke, W. Alwyn Ash and C. Irvin Garrett met to discuss organizing a fire department. The town had a Fire Chief but no organized group to work with him. When the fire alarm (ringing the Court House Bell) was heard, anyone who could would run to the firehouse, take the truck out and with some others proceed to the fire pulling a hose reel. This reel was quite tricky as you had to run like the dickens going downhill to keep the reel from running over you and then pull it uphill at a snail’s pace. Invitations were extended to the young men of the town to join the fire department, one stipulation being that the member must live in town. A short blast of the whistle indicated that the fire was in town and a long blast that it was out of town. Mr. O’Connell allowed his operators to sound the alarm when it was telephoned to the plant. On December 3, 1924 W.G. 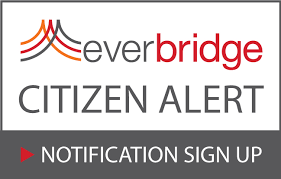 Bartenstein and other holding office submitted their resignations and an election was held with Mayor T. E. Frank presiding. Mr. Bartenstein was elected Fire Chief, B.H. Smith Captain, AS. Hamilton First Lieutenant, W.A Ash Second Lieutenant, Lester Burke President, C. Irvin Garrett Secretary-Treasurer and C.C. Butler official truck driver. Charter members of the fire department, including those who joined within a year, were (beside the officers) Frank Ash, Alex Allison, L.R Bartenstein, Thomas Collin, H.F. Cornblatt, James Coflin, Ed Fletcher, Harry Fisher, Douglas Fisher, Clifton Hurst, Bob Hudson, Addison Hudson, Eddie Jackson, John Kirby, Kenneth Kays, Rice Matthews, Chester Maxheimer, Charlie Riley, P.B. Ruffner, Lee Risdon, Matt Sims, John Stone and George Woodzell. A committee consisting of Bartenstein, Hamilton, Smith, Burke and Garrett was appointed to draw up by-law’s and Constitution for the organization. Drills were held every Monday and Wednesday nights, and all members were required to be present unless excused by one of the officers. A fine of 10 cents was levied for any infractions. Dues were 10 cents a month or $1.00 per year. The fire house was in its present building on Main Street. The firemen first occupied the left side of the downstairs, which house besides the Chevrolet truck, a steam roller used by the Town in building streets. The fuel for the engine was coal, so the inside of the building was black. Later the Town got rid of the obsolete roller and gave the fire department the use of the other side of the building. The firemen cleaned up the place, with the help of Sam Hall (Retired Sheriff) who was then working at a plastering trade. Everyone pitched in to help and the rooms were plastered and painted. Funds were needed to operated the fire department, so the firemen decided to have A minstrel show, directed by Alex Hamilton. The first performance was scheduled for May20,1925. On the morning of that date the company was called out to a fire at West View. Miss Effie Smith’s place near Bethel. An outside log kitchen attached to the main dwelling was on fire. Armed with just a few chemicals, the firemen were faced with the problem of keeping the main dwelling from burning. With pickaxe and wrecking bars they tore down the kitchen and saved the house. On the way back to town the clutch of the Chevy truck kept slipping, so that the fireman rode downhill and pushed the truck uphill all the way back to the firehouse. A tired bunch of boys went on stage that night in the minstrel, but in spite of their weariness the show went off creditably. Something over $400.00 was realized which help to buy the Seagrave pumper truck later in 1925.